Welcome at the History Centre Dybbøl Banke. 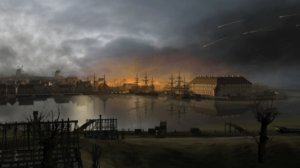 Step directly into Denmark’s history regarding the war between the Danes and the Prussians in 1864. Here you can read more about events we offer in the History Centre. 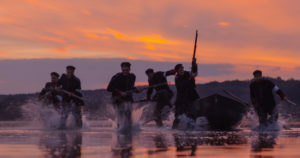 We show three movies about the war 1864 in Dybbøl. “Judgement Day for Denmark” is a short introduction to 1864: Why did the war happen? Who participated? How did the war proceed? Why did it take so long to take the Danish position in Dybbøl down? Our short introduction movie provides answers to all these questions. 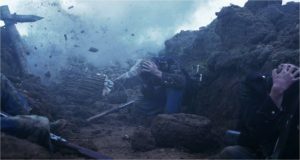 “The attack on Als” depicts the Danish volunteer soldier Erik Skram, who without a fighting experience is thrown directly into some of the war’s hardest battles on the island of Als on 29 June 1864. Here he is witnessing the most horrible bloodshed and is himself severely wounded left behind the Prussian lines. A fate he shares with thousands of other Danish soldiers who cannot face the far bigger and more professional Prussian army. “The Day of the Assault” carries us closely to the day on which the Prussians tried everything to break the Danish defense around 4 a.m. and to conquer Dybbøl after ten weeks of siege. The battle of 18 April is one of the bloodiest battles in the Danish history and the last big battle on Danish ground. Almost 3000 people were mutilated or died. 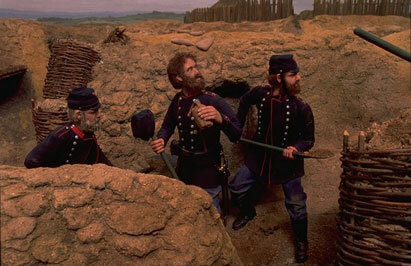 The Danish soldiers crawl together into the communication trench and wait for the Prussians to storm. The shells of the heavy cannons rain over the communication trench. In some distance, the Prussians wait. They are as stressed and frightened as the Danes. Both sides wait for the final command: – Vorwärts! Feel the weight of the cannons and go on a journey of discovery in the two dark powder magazines which are made of concrete. Seek cover in the huge block house which had been the redoubt’s bomb shelter because it was assumed to be bombproof. In the authentic redoubt reconstruction it is possible to walk around in a Danish redoubt system for the first time since 1864. 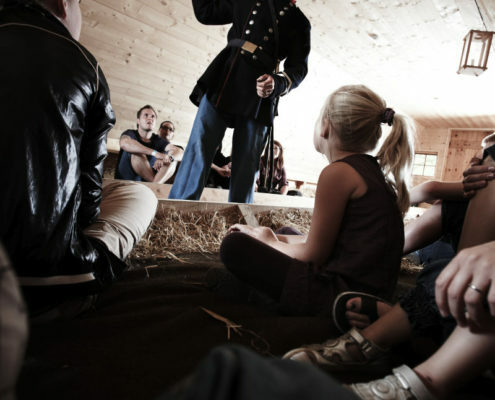 Lie down in the huge straw beds in the troop barracks or write a letter with fountain pen and ink. Handle the smith’s bellows and try to telegraph in the post office. 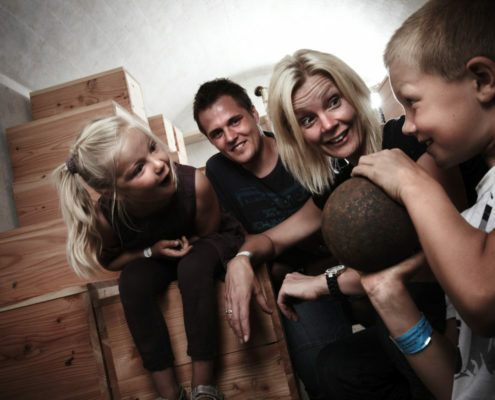 The Danish reserve forces lived behind the redoubt in a huge barracks camp; in the History Centre we built a barracks camp which we call soldiers’ town. 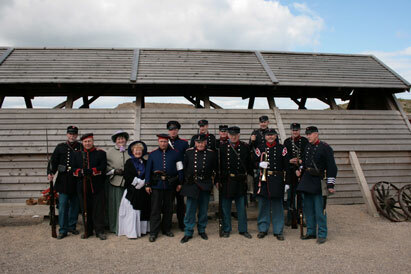 Here you can experience the daily routine of the war 1864. Several times a year, many volunteers from the “Jydske Landsoldater” arrive at the History Centre. Every year on 18 April the corresponding German association arrives. These soldiers are naturally dressed like the Prussian soldiers in 1864. Nowadays they all meet in peace though!